At White Smiles Family Dentistry, we believe in providing quality service and treating each client with compassion. In fact, we strive to make it super easy for you to see a dentist. Our staff and dental professionals are living the dream, doing what we love most, and we feel this makes the difference between us and our competitors. Our services stand out, and we offer everything our patients look for in a dental office for a beautiful, winning smile! New patients are always welcome. We are poised to serve both new and returning clients, always providing the gentle, quality dental care we’re known for. If you’re a new patient, you’ll like this: cleanings starting at $149, and we often provide other great deals as well. Let us become your family dentist here in Spring Lake Park, Minnesota. Give us a call today, or schedule your next visit to the dentist at our convenient location. Get $50 Off Your Next Appointment! Do you know someone who could use our dental services? Refer them to us! As a thank you, we will give each of you $50 off on any restorative treatment at your next dental appointment. We aim to remove the negative feelings sometimes associated with going to the dentist. We accomplish this in several ways. First, we’re on the cutting edge of dental technology advances, which enables us to use the latest tools to give you a better experience. In addition, we outfit our dental office with equipment that’s designed to make you feel more comfortable, including cable TV, noise-canceling headphones, iPads, and music you’ll enjoy, all designed to keep you relaxed and entertained while you’re with us. Using the best anesthesia techniques available, we work hard to minimize pain while maximizing your comfort. These techniques include conscious sedation and Dental Vibe. 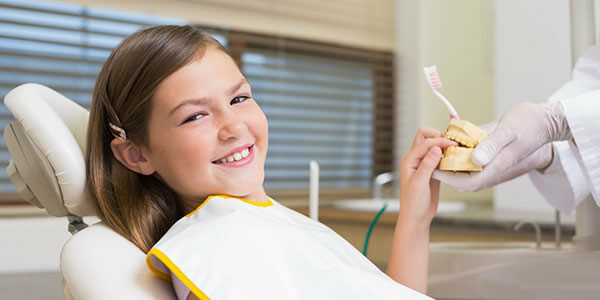 We make it a top priority to make your next visit to the dentist a hassle-free, enjoyable experience! At our location, we provide the dental expertise you need, whether it’s cleanings, teeth whitening, or restorative procedures. If you need dentures, implants, crowns, veneers, or any other dental procedures, turn to the specialists at White Smiles here in Spring Lake Park! The sooner you schedule your next appointment, the better off you, your teeth, and your gums will be! Take good care of your oral health with professional dental care. White Smiles Family Dentistry is ready to serve you. Schedule your visit today!a visit! FREE WHITENING FOR NEW PATIENTS FOR LIFE!